Featured! The Crafty Rascal Home | About Us | Opportunities | Sponsorships | Contact Us! In this week’s Featured! Interview, we have the pleasure of chatting with Elena ‘The Crafty Rascal’. 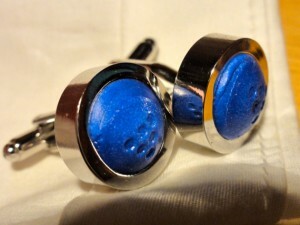 Her shop features some amazing up-cycled and repurposed handmade cufflinks that are sure to get lots of attention. From wine corks to tennis balls, The Crafty Rascal blends progressive repurposed design with traditional dapper to create a seriously amazing look! I am The Crafty Rascal. I have an insatiable need to create, and a backlog of ideas that are bursting to come to fruition. I am constantly searching for interesting materials to work with and perfecting new techniques to mold my ideas into practical and beautiful products. Together with my Mom who is an amazing designer, seamstress, and knitter of fashions for men and women, we started The Crafty Rascal shop to create quality unique products handmade for you! I fell in love with cufflinks while studying at London Business School. I quickly became a huge fan of the dapper English style and excited by the fashion accessories of Duchamp and the handmade personality of Savile Row. 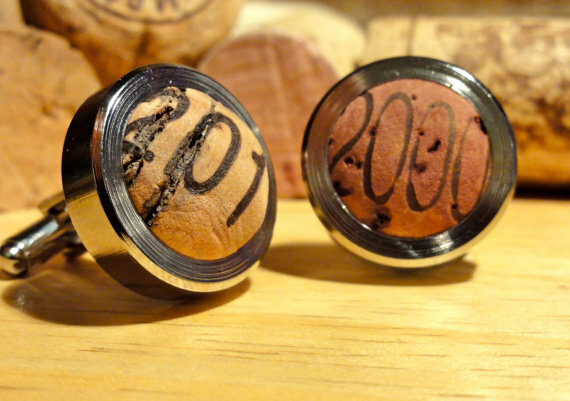 I discovered that although there is plenty of glued together cork cufflinks dipped in resin, they lacked the finish and personality a smart outfit requires. I set out to create a high-polish, trim quality cufflink design using materials with a personality that would take the wearer back to his favorite pastime. I wanted to give the wearer a story to share, since he will be noticed! The ‘Knight Cufflinks’ are for the dark knights or the knight in shining armor and come from the renowned Piper-Heidsieck Maison de Champagne in Reims, France. The ‘Mismatch Cufflinks’ are for those who are bored of matching and who want to show style and personality by choosing different designs for each cuff. 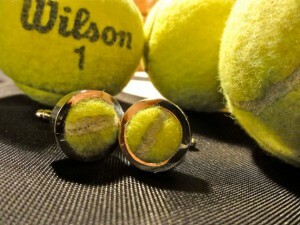 The ‘Tennis Cufflinks’ are for the sporty business man that can’t wait to get back to the game – and of course there are plenty more including the new ‘Vintage’ line at The Crafty Rascal each to suit your personality. To get ready for Fall and the expansion our men’s line, we have added a knits section of handmade scarves and hats – and pride ourselves on ‘made to order’ designs. My personal favorite Crafty Rascal original is the ‘Diver Down Flag pillow’ that combines a sleek design with our love and respect for the ocean. What got you started in crafting? I come from a crafty family and have been crafting since I remember. It seemed every time I would get good at a medium I would yearn to learn another one, even if having a furnace for melting glass in my city apartment, was well… not realistic! The knowledge of these different mediums influenced each other. I started incorporating clay and tiles into my paintings, and gold flake into my cufflinks. I love handmade because it is unique and has high quality with the imprint of the conversation between the artist and the medium. What are your favorite tools or techniques to work with? Usually it is the hunt for the material itself and picking through the numerous boring contenders to find a wine leaf or a crown, or discovering a blue cork from a Tasca d’Almerita Sicilian bottle of wine that is my favorite part. It is the asking of every waiter if he can collect corks for me, or cold calling a New York City champagne bar to get them to save their corks for me. It’s the running in to pick up the grab bag of finds as the dolled up business crowd stares at me for a split second until they lose interest and return to what is in front of them. It is then figuring out how to best set the cork to really make it ‘pop’ and ‘bubble up’ but not break it at the same time. I use super fine cutting instruments to perfectly size my corks, tennis balls, and other materials. I then hand shape the find into the bubble shape you see in your cufflinks. I set the cork in a sturdy frame that protects and enhances the look of the natural recycled material while providing the wearer with a solid weight and an easy to wear swivel-back without any glue or resins. My Mom and Craft Rascal seamstress and knitter extraordinaire has a whole room of tools for sewing and knitting and I am constantly learning about that needle or this sewing machine setting. The extra quality of the elements you work with and the process you take in making your work is clear from the moment you see them! It’s great to have someone creating dapper and dressed up handmade works that still cater to the individual style of each man who will wear them. Why do you think that men should choose handmade over mass produced? 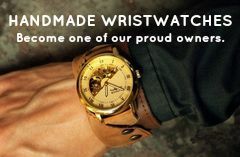 What does handmade add to a man’s style that helps set them apart? Most of the time an artist starts making crafts by hand because he could not find them in the mass-produced market or because he could do it better. There are plenty of commodities that should be mass-produced, as it is more efficient and less costly to do so. However, these often do not have the personality or the story or even the unique look a handcrafted item does. In the business world there are very few accessories that a man has to differentiate himself and often there is more leeway to display his personality in the cufflink. 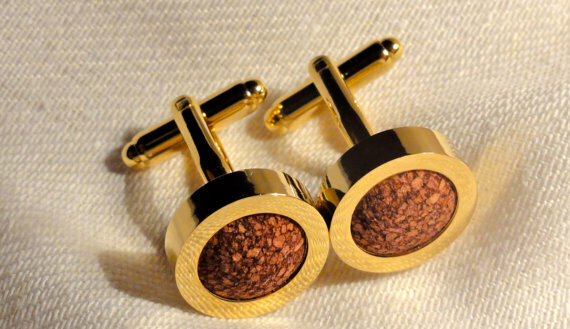 They are noticed, they are conversation starters, and pair of my handmade cufflinks look polished and trim but have a pizzazz about them that will get you noticed. What plans do you have for your shop and the work you do in the near future? 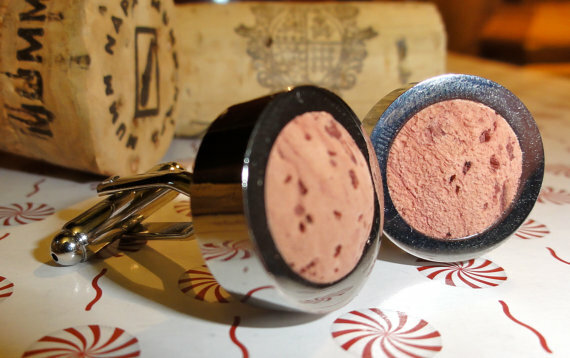 I am constantly looking for new materials and corks to work with – maybe pink tennis ball cufflinks for the sportsmen or neoprene cufflinks for my watermen… so stay tuned! We have recently added a line of hand knit custom scarves and hats for men that are not only great looking but also super warm and look to expand that line. 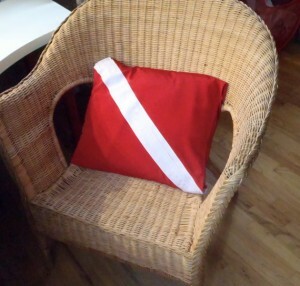 With my favorite Diver Down pillow now available for sale, we are in discussion of finding the next Crafty Rascal original pillow design that combines a favorite hobby with some R&R. 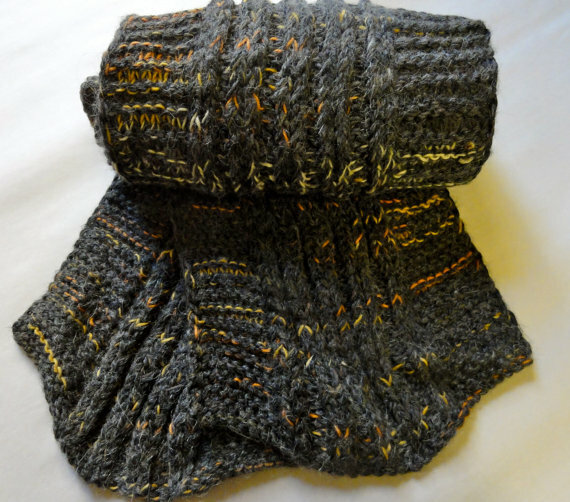 We are also looking to add a line of hand knit custom scarves and hats for men this fall made out of natural yarns that are not only great looking but also super warm. We love to do custom work, whether it’s from corks that have sentimental value, or a scarf design you saw in a magazine and need to have. Just drop us a line and tell us what you’d like and we’ll be happy to work with you to create it! Tagged Cuff Links, Cufflinks, featured!, handmade men, interview, The Crafty Rascal. Bookmark the permalink.